Collaborate on solutions, not syntax. Automatic comments on PSR-2 violations in one click, so your team can focus on better code review. One click and Nitpick is automatically set up to listen for any new pull requests. Your code is checked for style violations every time you open or update a PR. 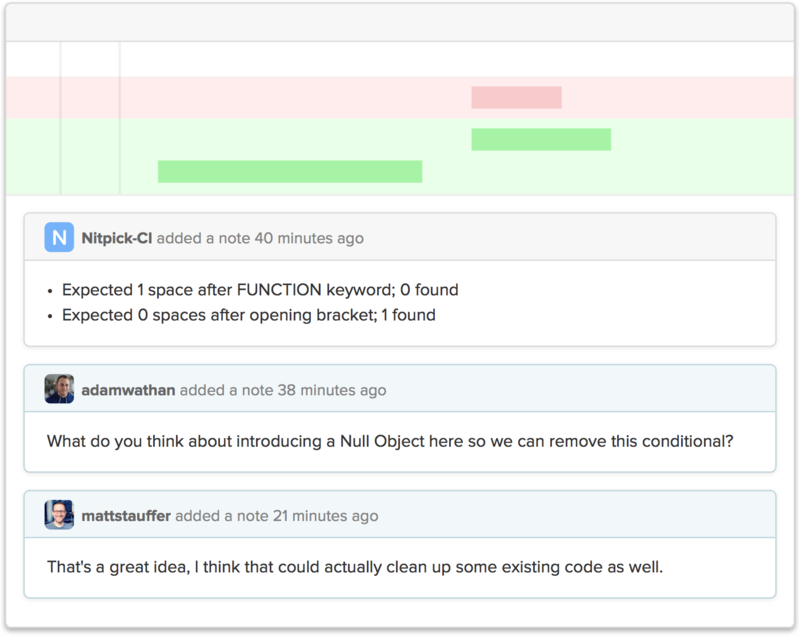 Nitpick will instantly comment on your pull request and point out any issues. Nitpick is completely free for open source projects, and simply priced for private projects based on the needs of your team. Have an open source project you'd like to try Nitpick on? Nitpick is completely free for open source projects and always will be.